Adaptive Tactical has forty years of experience in firearms accessory design and polymer engineering. They have lines of box and rotary magazines for Mossberg shotguns, Ruger 10/22 barrels and stocks, and M4-style furniture for Mossberg and Remington shotguns. Another product from Adaptive Tactical is their NON-LITE training aid. Adaptive Tactical, LLC, manufacturers of innovative firearm stocks, magazines, conversion kits and accessories, is proud to introduce its NON-LITE. 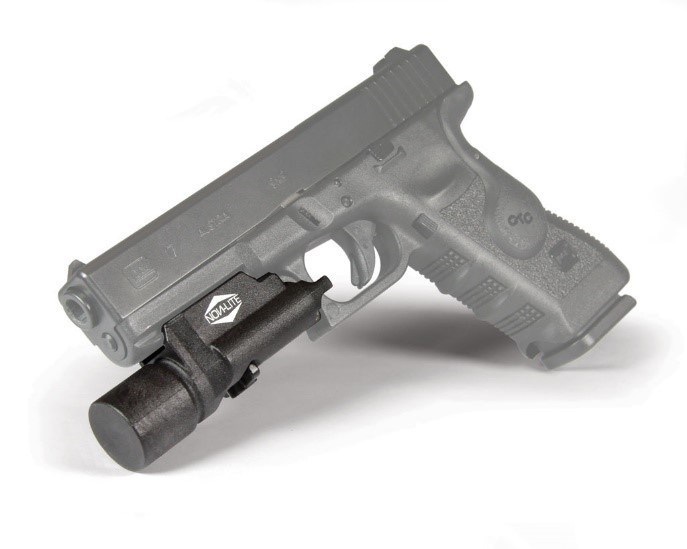 The NON-LITE is designed to mimic the weight, balance and profile of a standard gun-mounted flashlight, allowing the operator to focus on intense training without risking damage to his or her actual flashlight. “As professionals and masters of our trade, we need to ‘train like we fight.’ That means we have to become proficient with the extra weight of the light, the fit to the holster and have the ability for a smooth and fast holster draw. The big problem with this is in doing so, we are causing our weapon lights toave illumination failures, damaged lenses, blown bulbs, broken activation switches, cracked rails, broken locking tabs, battery failures and decreased lumens for nighttime training and operation when it is needed the most. The NON-LITE solves all of these problems while letting us train realistically,” said Ryan Ley, NON-LITE Inventor and USCG Trainer. Although NON-LITE mimics the weight, balance and profile of a tactical flashlight, it costs a fraction of the price of a tactical light allowing military and law enforcement agencies to save thousands of dollars in equipment replacement costs. If the NON-LITE is something you might need, the MSRP is $64.99. This entry was posted in Flashlights, SWAT and tagged Adaptive Tactical, weapons light. Bookmark the permalink.